Positive Detroit: Comerica Hatch Detroit Contest Kicks Off June 1st, $50K Prize for Winning Biz Idea! Comerica Hatch Detroit Contest Kicks Off June 1st, $50K Prize for Winning Biz Idea! The contest is open to anyone with an idea for opening a retail business within the City of Detroit. This year, with support from Comerica Bank, the competition will continue to work toward building a strong community and creating vibrant and dynamic retail businesses in Detroit. Applicants must provide a summary that describes their business idea and its potential impact on Detroit, as well as background for each team member. After all the applications are submitted Aug. 1, Hatch will narrow down the pool to 10 applicants and the public will vote on the $50,000 winner. In addition to the cash prize, the winner will receive a package of services including legal, marketing and advertising and IT support. Finalists will also be exposed to potential investors, collaborators and the community at large. In addition to the competition, Hatch Detroit plans to support retail businesses in several Detroit neighborhoods with grassroots improvement projects during the next six months. All applications must be submitted online. 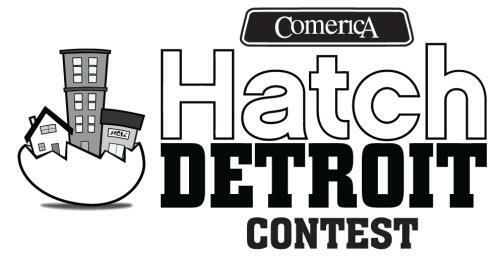 For complete submission guidelines and contest rules, visit www.hatchdetroit.com. Hatch Detroit launched its inaugural competition in 2011 with overwhelming success. Hatch received more than 250 applications, and through social media and grassroots efforts, the public helped select the winner – Hugh, a home furnishings shop featuring classic bachelor pad style. Hugh received $50,000 in addition to a suite of donated services from individuals and companies to help the business “hatch” and thrive. Hugh will open in fall 2012. Many of the 2011 finalists are also in the process of opening retail stores in Detroit. Hatch Detroit is a Michigan based 501(c)(3) organization that champions and supports independent retail businesses in Detroit through funding contests, education, exposure, and mentoring. Hatch Detroit was co-founded by Nick Gorga and Ted Balowski, Detroit natives who are passionate about the revitalization of the city and inspiring others in the community to create change.